Do I really need a drum teacher? Beginner Drums guide! Do I Need a Drum Teacher? If you’re just starting out on drums you’re probably asking yourself, “Do I need a drum teacher?”. The simple answer to this is YES. The slightly longer answer to this is YES, DEFINITELY. 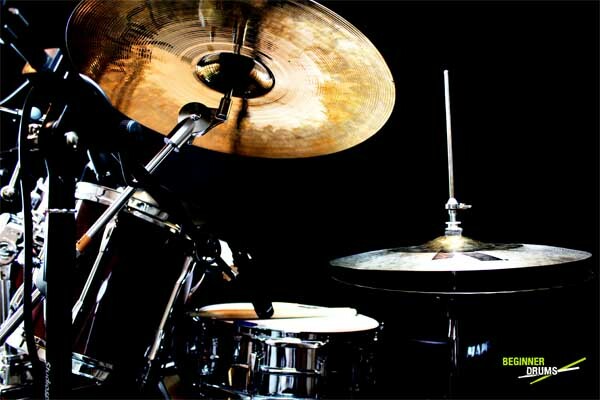 Online learning resources (such as Beginner Drums!) are a great ‘addition’ to your practice schedule but online learning will never replace face to face lessons. So isn’t this a slightly strange topic to cover on an online drum lesson website? Well, yes and no. As a beginner it’s important that you understand NOW of all other times the importance of having a good teacher and hopefully this article will help you with that decision. Learn from all the good information you can find on the internet, including this, but if you can… also get a good teacher! Before we talk about why it’s important to have a drum teacher let’s have a quick chat about online drum resources. We’re living in a golden age of learning. Never has it been so easy to get so much information for free. A quick search on YouTube for “drum lesson” brings in almost 200,000 hits. Some of the online drum tuition resources out there really are superb. Unfortunately though for every good online learning site you find there are probably another 10 giving you duff information. Badly written sheet music, bizarre notation, poor technique, poor explanations, badly paced, making tricky things sound incredibly easy… I could go on. On top of that you don’t get to see the hours of practice, takes, re-takes and edits that go into making a relatively simple video. As a result you watch said video and quickly become frustrated when you find you can’t play what they’re showing you. You give up on that one and find a different video – something you can play… or certainly something less challenging. You go through the motions of learning and give yourself a pat on the back when you can play it. 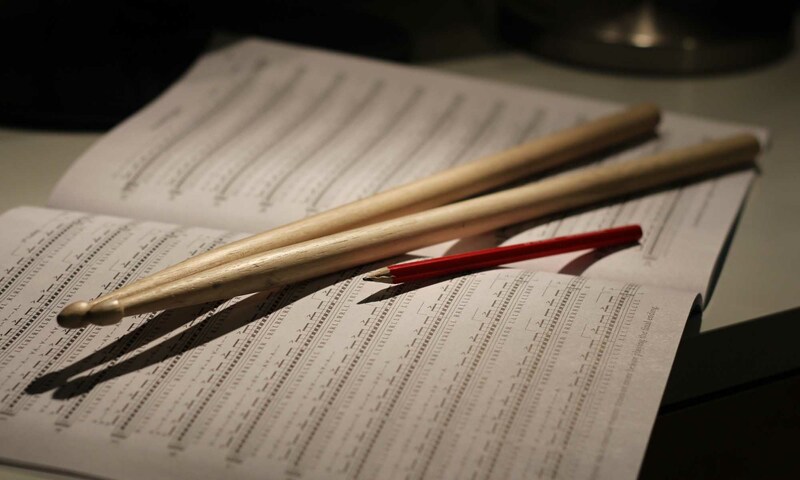 Have you progressed as a drummer? Probably not. You can play something new but it’s likely to be at the same standard as your current playing – so your playing abilities haven’t actually increased that much. Now, don’t get me wrong, maintenance practice is important but what we’re really talking about is progressing your playing. What to look for in online drumming resources? Read the comments on YouTube, read the posts on social media, see what people are saying about it! Are there a lot of posts where people are complaining that the information is incorrect? If so it’s probably time to find a different resource. 2. Is this their full time job? If the resources they’re putting out there forms part of their career you can bet your bottom dollar they will go the extra mile in ensuring the quality is up to scratch. Most good online drumming resources are produced by professional teachers / educators. Not people who do it as a hobby. 3. Don’t ignore the sheet music! As a drummer it’s SO important to be able to read sheet music. Not only does it open a world of new playing styles but if you ever want to consider playing professionally you’ll need to read notes. Not only that but you should be capable of transcribing some basic sheet music for yourself – fills from your favourite songs and the like. Anyway, look for resources that provide sheet music that accompanies the video lessons. Did you know you can buy YouTube hits, Facebook likes and Twitter followers? …all from fake accounts? It’s a bit of a vanity thing in the social networking world and for good reason. SO just because a video has had a million views doesn’t mean it’s any good. In my experience Likes and Dislikes on YouTube are a much better indicator of the quality of the content… but you can buy those too. This is a bit of a strange one but if a video looks rubbish then many times it is rubbish. If they can’t be bothered to put the effort in to the production of the video they probably aren’t that bothered about the content either. It takes a lot of time and effort to make a video look good and you’re not going to do that if the content isn’t up to scratch. Anyone who calls themselves an ‘expert’ almost certainly isn’t an ‘expert’. Some of the utterly wrong information I’ve seen recorded and broadcast by self-proclaimed ‘experts’ is shocking – some with many millions of YouTube views. If they’re backed by a major manufacturer then ultimately their number one interest is in driving publicity for that manufacturer. I’ve seen some great (and not so great) lessons ruined by blatant advertising where they happen to drop into the conversation that their product should be replaced every 100 hours, or something equally ridiculous. Please. Why should I use online resources? By using the right online resources you *can* progress your playing – A LOT! As mentioned earlier there’s a HUGE amount of information out there – you just need to go looking for it. Some of it is entertaining, some of it is inspiring, some of it is challenging. It will keep you interested in making progress on the drums and can really help you develop your playing. There are also some excellent resources out there to help you play specific songs – tutorials about that fill you always wondered how to play. These are invaluable, especially for gigging musicians where time is money. There are also sites who conduct live lessons, Skype sessions, live Q&A and more. All invaluable and exciting to use. Fill your boots but bear in mind the points above! Why do I need a drum teacher? So, OK – I went off at a bit of a tangent there but it had to be said. I’ll say it again. Online resources will never be a substitute for face-to-face lessons. So find a good drum teacher! No matter how old you are, no matter how experienced you are, whether you’ve been playing for 30 years or have never picked up a pair of sticks in your life, GET A TEACHER! It WILL improve and progress your playing faster than any other method. IF your playing doesn’t improve within a maximum of 3 months then perhaps pick a different teacher. That doesn’t necessarily mean your first teacher wasn’t any good but, like everything, some teachers are better at teaching some things than others. For example, I love teaching beginners and I think I’m really good at it – it’s why I set up this site and it’s why I have no desire to also set up ‘Intermediate Drums’ and ‘Advanced Drums’.There are plenty people out there who’ll do a much better job of that than me. My passion has always been teaching beginners. My mum was a violin teacher – she had qualifications coming out her ears and taught for most of her life (she retired several years ago, when she was in her late 70’s!). Even after teaching for 30+ years she still excelled at teaching beginners. Sure, she had some pretty advanced students but the vast majority were beginners – it’s what she excelled at and what she loved doing. Equally I’ve known of other teachers who are amazing with more advanced pupils but just don’t have the patience for beginners. If you feel you’re not making progress with your current teacher then the worst thing you can do is say nothing. Chat to them about it – good teachers will chat to you before you need to chat to them since they’ll be very aware of the progress you’re making, but sometimes your view of the world can be different to theirs – it’s good to talk. If they’ve progressed your playing sufficiently that you feel it’s time to move on many would view that as a great achievement and complement. I’ve had a few drum teachers over the years. 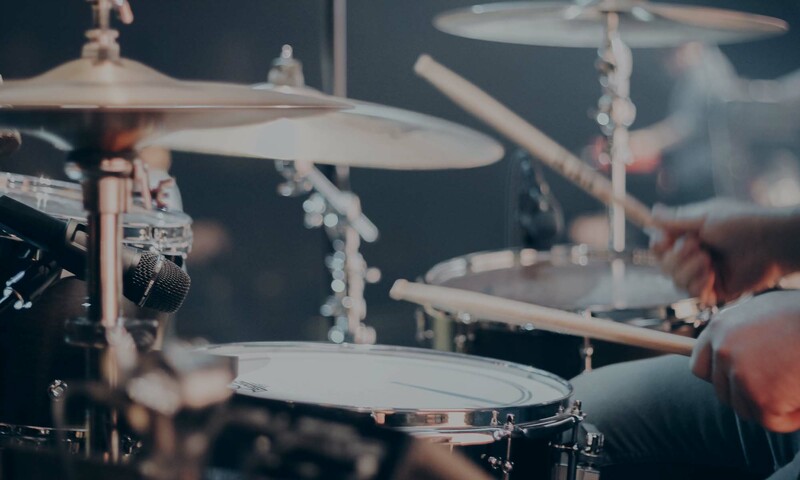 I wasn’t allowed drum lessons when I was young and ended up being self taught in the early days – this was NOT a good thing and it’s why I feel qualified to talk about the subject now. It’s taken an enormous amount of work to unpick the bad habits I picked up through not having lessons. Add to this the “teaching an old dog new tricks” rule – which is particularly relevant to drums. You see playing drums is all about muscle memory – more so, in my view, than any other instrument since few other instruments require independent control of your four limbs (this is why piano is such a good complementary instrument to drums since it encourages limb independence and dexterity – coupled with it being a fantastic ‘solo’ instrument on which to develop a good musical grounding). So when you’re young your muscles are a lot more open to learning new stuff than when they’re old – YOUNG PEOPLE TAKE NOTE! That’s not to say oldies can’t learn to play drums – there’s a lot to be said for maturity, wisdom and patience but you will have to work harder at the muscle memory bit. Something that a 15 year old might learn in a couple of days can take weeks or months when you’re older. But at least when you’re older you want to learn it and aren’t distracted by your hormones or internet memes, whatever they are. 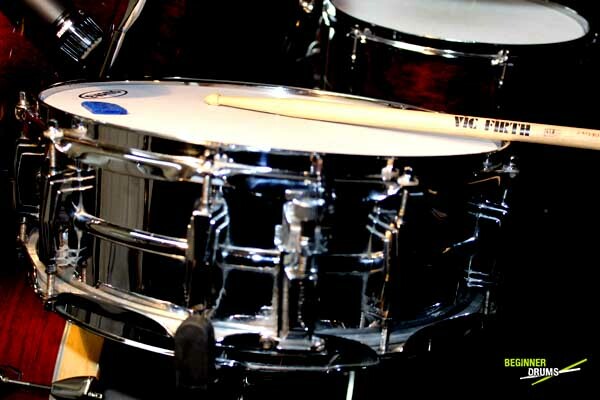 Are face-to-face drum lessons important? One of the key reasons face-to-face lessons are so important is since a teacher can pick up on technique issues that you just can’t see on any video lesson. They can help you make the smallest of adjustments that will have a massive impact on your playing; and it’s not all about technique. They know what exercises to give you to improve specific aspects of your playing, they’ll tell you what books to buy, inspirational videos to watch, music to listen to, they’ll help with things like advising on your kit set-up, tuning issues, what sticks to use, what gear to buy… they’ll be your best drumming buddy! And I’m yet to meet a good drum teacher who doesn’t get excited talking about all that stuff so don’t be afraid to ask – although do bear in mind they do have other students so chat about it in your own lesson time. Is a bad teacher better than no teacher? No. I’ve met many teachers who share no passion at all with the subject they teach, be it drums or geography, and this is a killer. Avoid, avoid, avoid. It kills the students’ drive and desire to learn – it’s not inspiring and often leads to a genuine dislike of not just the teacher but the subject. Teaching is never ‘just a job’. You know if your teacher just can’t be bothered – do yourself and the teacher a favour… and pick a different teacher. That’s not to say it will always be a bed of roses by the way – even with the best teachers you’ll have good lessons and bad lessons – you’ll come away from some lessons feeling physically sick about the way you played – that’s a good thing since it means you care and want to improve. If all your teacher does is say how good you are you’re not going anywhere. Even if you’re making substantial progress week on week – if your teacher thinks you’re finding it too easy they’ll push you harder. It’s their job. Your teacher’s passion for drums will rub off on you – their enthusiasm will be inspirational. How to find a drum teacher? But with that all said, there are still plenty reasons to use online resources and I wouldn’t have put this site together if I didn’t truly believe that. Proximity is a major factor – especially in certain parts of the world where drum teachers just don’t exist. Lifestyle is another major factor – whether you’ve got a young family, a busy job or just spend far too much time doing other stuff, there are many reasons face-to-face lessons might just not work for you. Hopefully this will have inspired you to get those lessons when the time is right and for the moment you can tap away safe in the knowledge that there has NEVER been a better time to learn!